Becoming a Marine ensures your sense of humor will never be the same. This book salutes those Marines who can do anything with nothing. They do it faster, harder, meaner, better and with enthusiasm and style that is unique to the Corps. 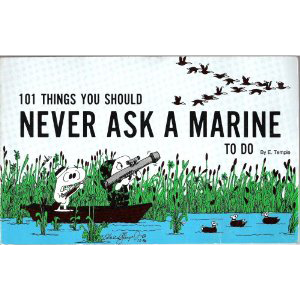 See why it is never okay to ask a Marine to go duck hunting, give a short speech, go to the beach, clean out your garage and much more in this hilarious soft cover book filled full of original comics that show a unique look at life before the eyes of a Marine. This book is available at the EGA Shop, where every purchase supports our troops. Click here to buy now. Da Nang in South Vietnam. For the next 10 years, American and South Vietnamese troops battled communist-backed North Vietnamese forces in one of the longest military engagements in American history. 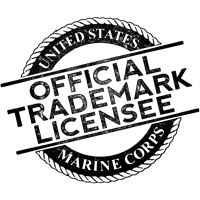 What is Team MarineParents (TMP)? TMP is everyone who supports our Marines. 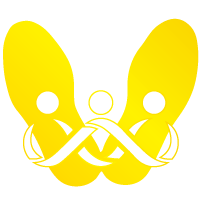 It is mothers, fathers, sisters, brothers, wives, and husbands; the list could go on forever. 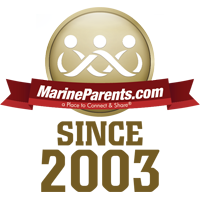 As soon as your loved one signs up for boot camp, YOU become a member of Team MarineParents. You become the cheerleader for your loved one as soon as they begin battling through the first 13 weeks of their Marine Corps career in boot camp, and that is the spirit that Team MarineParents encompasses-- joining together with one another to show your support is what it is all about! You don't have to be an all-star athlete to be a part of Team MarineParents, all you need is passion and enthusiasm. Grab your friends, make a team, and sign up today! 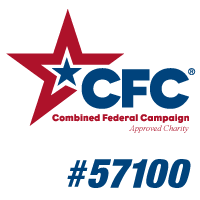 To learn more, visit TeamMarineParents.com. ends of each word connecting to make the infinity symbol. This represents the meaning of "Semper Fi" as "Always Faithful", which is the Marines' motto. It also symbolizes the fact Once a Marine, Always a Marine. Click here to shop now.